1.) What is polyethylene plastic and what makes it better than a wood shed? 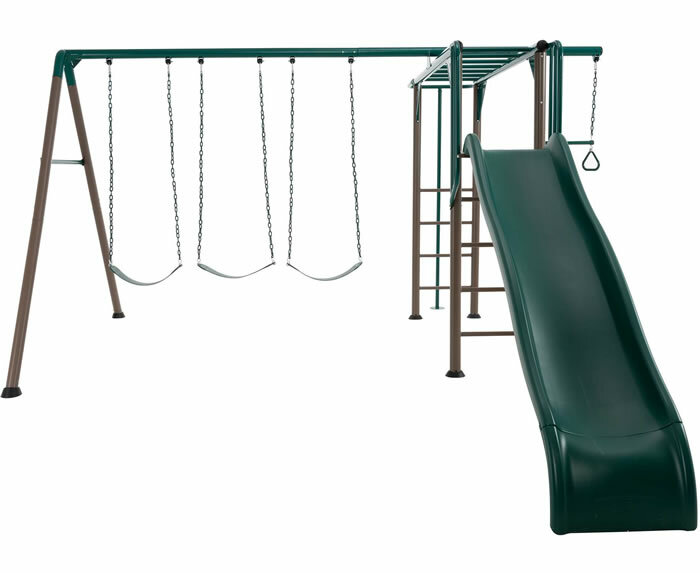 Polyethylene is a plastic material that is virtually indestructible. It will not chip, crack or peel like wood, metal or other sheds. Polyethylene plastic sheds are durable, easy to clean, lightweight and ideal for outdoor storage. 2.) 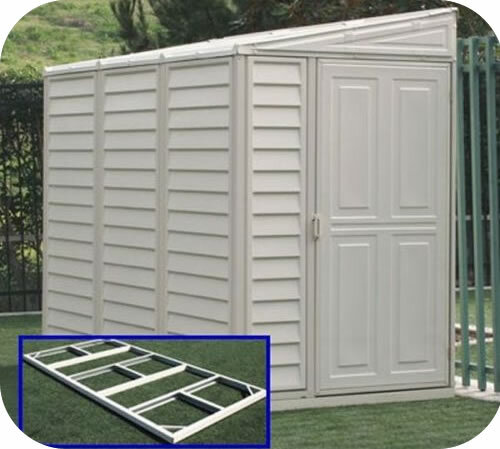 What sizes of Lifetime plastic storage sheds are available? 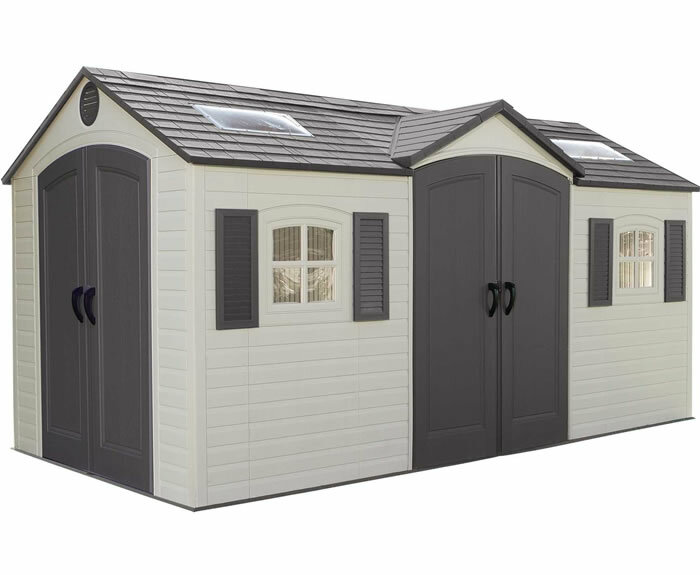 7' wide Lifetime sheds come in just a 7'x7' size with different window and accessory options. The 7' wide sheds cannot be extended. 8' wide Lifetime sheds come in 8'x2.5', 8'x5', 8'x7', 8'x10' and 8'x12' sizes or you can also extend the 8' wide sheds with extension kits to your desired depth. An optional 2.5 ft extension kit will extend any 8 ft Lifetime shed up to a maximum of 15 ft.
10' wide Lifetime sheds come in just a 10'x8' size with different window and door options. The 10' wide sheds cannot be extended. 11' wide Lifetime sheds come in 11'x3.5', 11'x11', 11'x13', 11'x16', 11'x18' and 11'x21' sizes and can be extended further to your desired depth. 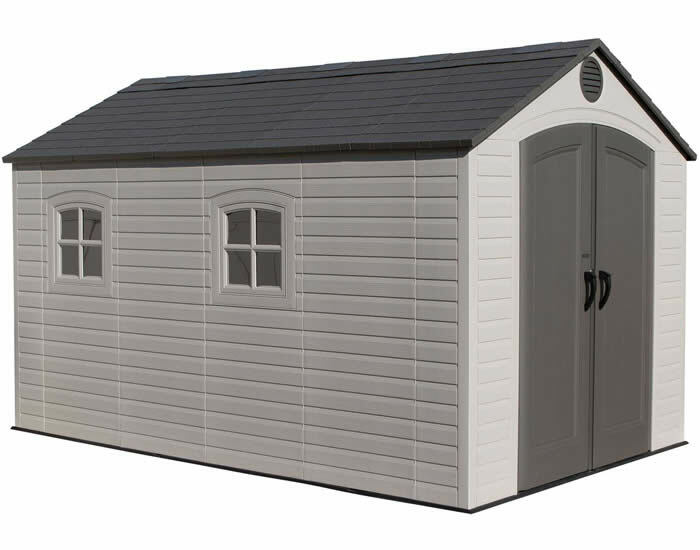 The 11' plastic sheds also feature an optional 9' wide door. An optional 2.5 ft extension kit will extend any 8 ft Lifetime plastic shed up to a maximum of 26 ft. 3.) What is the wind resistance factor for a Lifetime plastic shed? Some US counties, particularly in the state of Florida, have wind force regulations regarding storage sheds. Check with your local building regulation department to find out if there are wind force requirements in your area. 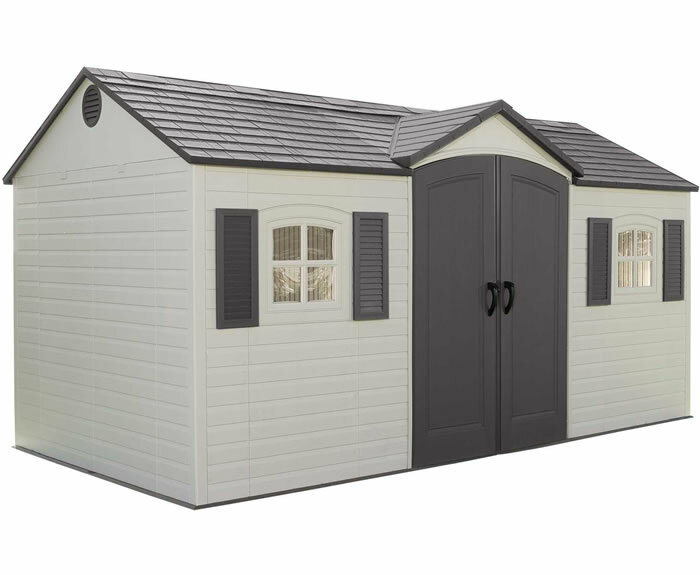 The heavy duty steel reinforced construction makes Lifetime storage sheds strong, durable, and weather resistant. However, for areas with severe weather and wind, Lifetime might not meet some standards. 4.) What accessories are available for the Lifetime storage sheds? Lifetime shed accessories include the 2.5 ft extension kits, 32 inch shelves, 8 ft shelves, shed corner shelves, pegboard with tool hooks and windows. 5.) Will a Lifetime plastic shed fade in the sun? Anything left in the sun for extended periods of time will eventually fade. However, our polyethylene plastic sheds have inhibitors that help prevent fading and maintain the integrity of the polymer when exposed to sunlight providing years of color. Our Lifetime outdoor sheds will hold their color and look great for your backyard setting for years and years. 6.) What is the best way to anchor down Lifetime storage sheds? For our 8 ft. wide Lifetime sheds, anchor the storage shed to the ground through the four indentations in the garden sheds floor. For the 11 ft. wide sheds, anchor the shed through the floor brackets attached to the bottoms of each wall support. Consult your local hardware store for suggestions on the best hardware to use for anchoring your garden shed based on the type of platform you have used. 7.) How should the concrete surface be prepared for anchoring a Lifetime shed? If you use a concrete foundation for your shed which we recommend, holes of the appropriate size for the type of anchors used will need to be drilled in the concrete after the storage shed is assembled. Tools required for this is a hammer drill or a concrete drill bit which can be bought or rented at your local hardware store. 8.) What type of foundation is recommended for Lifetime storage sheds? Lifetime sheds must be built on a flat, level surface. We do however recommend a concrete or patio style surface. Other options include a wood platform made of 2x4 boards and plywood or a wood frame filled with pea gravel (large gravel is not recommended). 9.) What is the warranty for a Lifetime storage shed? Lifetime plastic storage sheds are warranted to the original purchaser to be free from defects in material or workmanship for a period of ten years from the date of original retail purchase. 10.) How do I file a warranty claim on my Lifetime shed? In the unlikely event that you would have a claim, please see warranty claim instructions in your owners manual. Lifetime's main Warranty page also has instructions and more details.